The holdings of a life insurance company that support the contractual obligations that provide fixed-dollar benefit payments. Also see separate account. A form of insurance that protects the policy owner from acts of negligence and/or omissions resulting in bodily injury and/or property damage on the premises of a business. Accounting principles established by the American Institute of CPAs and published in the Financial Accounting Standards Board and the Audit Guide for Stock Life Insurance Companies. Also see statutory accounting principles. A legal document that gives another individual or entity the legal power to dispose of property. The grantee may designate the disposition of the property to any person or entity that the grantee see fit, including the grantee or the grantee's estate. Also see special power of appointment. A transfer tax levied on gifts or inheritances to individuals at least two generations younger than the person making the transfer. Under the Unified Federal Estate and Gift Transfer Tax System a tax levied on the transfer of property without payment or other value in exchange. A category of mutual funds in which investments can be made in bonds of corporations and governments throughout the world. A portion of the fund's assets are usually committed to American markets, although the majority are held in issues of other countries. 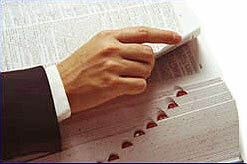 A category of mutual funds in which investments can be made in stocks of corporations throughout the world. A portion of the fund's assets are usually committed to American markets, although the major portion are held in equities of other countries. An executive compensation package that offers additional benefits designed to encourage early retirement. An executive compensation package that is designed to give substantial payments to the executive in the event that corporate ownership or control of the company changes. Treasury Bonds (maturates ten years or longer). A category of mutual fund investment that invests primarily (or exclusively) in bonds issued by the U.S. government. The period of time, usually 30 or 31, days after the premium due date, where the premiums may still be paid without interest charges and the policy will remain in force. If the insured dies during the grace period, the beneficiary will receive the death benefit less any premiums that are due. A life insurance policy where the death benefit increases with the age of the insured. This type of coverage is most common in juvenile life insurance. A life insurance policy that initially has a low premium, similar to term life insurance policy. The premiums gradually increase over a period of 15 to 40 or more years, then with one or more sharp rises level off. During the early years, the policy does not build cash value. When the premiums rise in later years, the cash value of the policy builds up very rapidly. Form of vesting under which an increasing proportion of a participant's accrued benefits become vested in accordance with a specified formula or set of requirements. The person that funds a trust, generally with his or her own assets. The excess coverage (over $50,000) of a group term life insurance plan that is structured as a bonus to a key employee under a Section 162 plan arrangement. A category of mutual fund investment that seeks both growth in earnings (capital gains) and dividend income. Investments in these funds usually include common stocks of companies with a history of capital gains and consistent dividend payments. See option to purchase additional insurance. A contract in which investors, usually corporate profit sharing or pension plans, deposit money with insurance companies in exchange for a guaranteed rate of interest in addition to the return of principal originally invested. The right to purchase insurance without a physical examination or consideration of past or future physical conditions. A fund established to protect policy owner from losses that result from an insurance company becoming insolvent.